Do you think it is fair to hold bullies responsible for the death of a bullied person if they take their own life? Bullying is something that touches us all. Even if your students haven’t been bullied directly, they know of people who are. Scroll all the way down to download the handout! 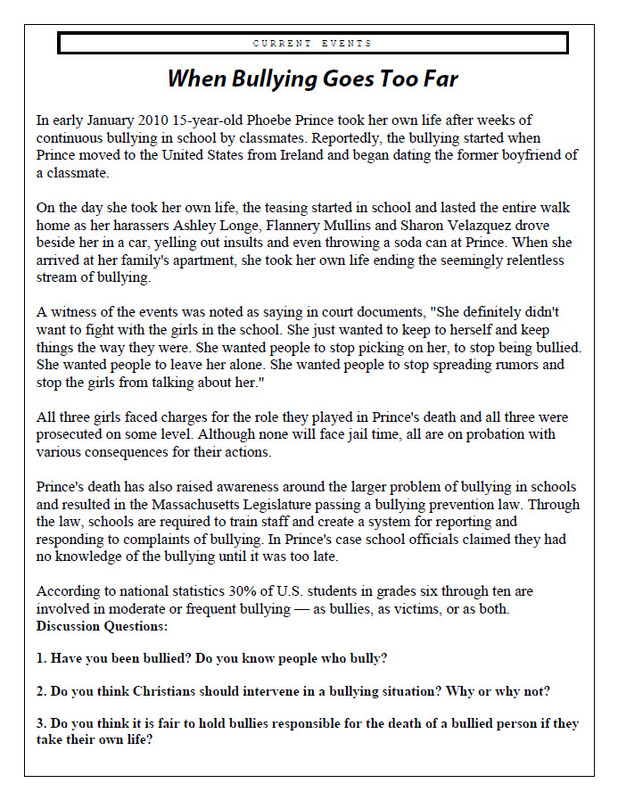 In early January 2010 15-year-old Phoebe Prince took her own life after weeks of continuous bullying in school by classmates. Reportedly, the bullying started when Prince moved to the United States from Ireland and began dating the former boyfriend of a classmate. On the day she took her own life, the teasing started in school and lasted the entire walk home as her harassers Ashley Longe, Flannery Mullins and Sharon Velazquez drove beside her in a car, yelling out insults and even throwing a soda can at Prince. When she arrived at her family’s apartment, she took her own life ending the seemingly relentless stream of bullying. All three girls faced charges for the role they played in Prince’s death and all three were prosecuted on some level. Although none will face jail time, all are on probation with various consequences for their actions. Prince’s death has also raised awareness around the larger problem of bullying in schools and resulted in the Massachusetts Legislature passing a bullying prevention law. Through the law, schools are required to train staff and create a system for reporting and responding to complaints of bullying. In Prince’s case school officials claimed they had no knowledge of the bullying until it was too late. 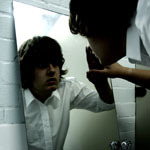 According to national statistics 30% of U.S. students in grades six through ten are involved in moderate or frequent bullying — as bullies, as victims, or as both. 1. Have you been bullied? Do you know people who bully? 2. Do you think Christians should intervene in a bullying situation? Why or why not? 3. Do you think it is fair to hold bullies responsible for the death of a bullied person if they take their own life?